For hands as hydrated as a juicy strawberry. Hand cream that gently wraps skin in a sweet scent. ･Like strawberry-flavored milk, this limited-edition hand cream spreads smoothly to deliver sweet fragrance from your fingertips. ･Juicy moisture from white strawberry extract and raspberry extract, plus creamy moisture from honey and cacao powder, make skin glossy, hydrated and smooth with every use. ･With a light pink color like strawberry milk. 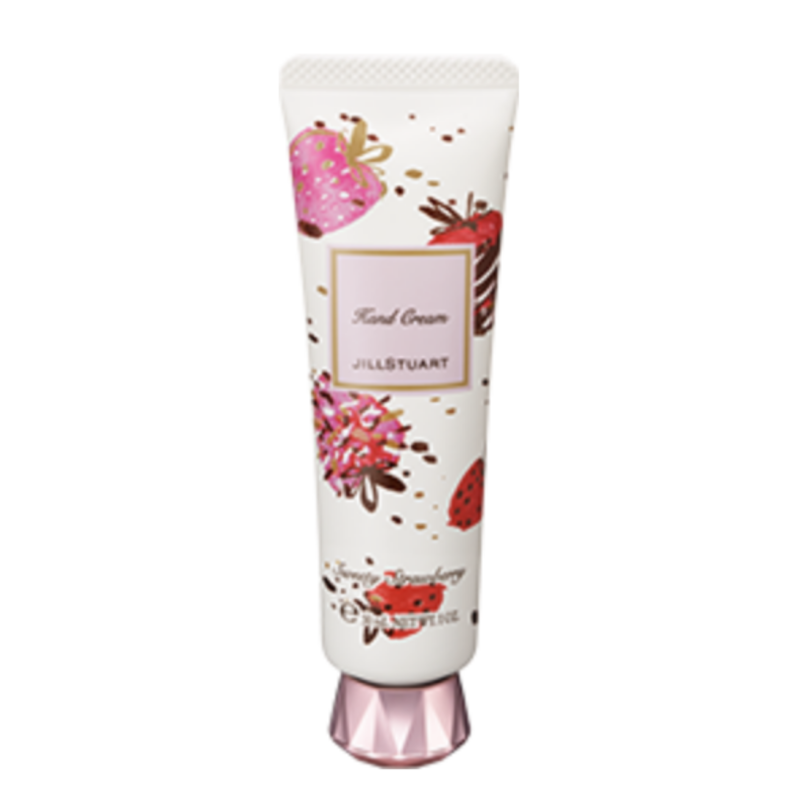 ･The package is decorated with a cute strawberry motif on a calming off-white bottle reminiscent of whipped cream, for a lovely limited-edition design that's perfect for women. *White strawberry extract is Fragaria chiloensis fruit juice, raspberry extract is Rubus idaeus fruit extract.